The Pentair AmerBrite Color LED lamp brings the luminous splendor of LED technology to the best-selling Pentair Amerlite light series. With its convenient Edison screw base, the Pentair AmerBrite Color LED lamp is a 'plug-and-play' replacement for Pentair Amerlite incandescent bulbs. With AmerBrite lamps, pool owners will experience the vivid luminance and efficiency of today's best and brightest pool lighting technology - all without the hassle and cost of replacing their existing Pentair Amerlite light fixtures. The Pentair AmerBrite LED lamp brings the luminous splendor of LED technology to the best-selling Amerlite light series. With its convenie'plug-and-play' replacement for Pentair Amerlite incandescent bulbs. With Pentair AmerBrite lamps you'll experience the efficiency of today's best and brightest pool lighting technology all without the hassle and cost of replacing your existing Pentair Amerlite light fixture. Simply unscrew your inefficient, high-wattage incandescent bulb and replace with a high-efficiency Pentair AmerBrite LED lamp and watch your pool transform into a rejuvenating spectrum of breathtaking color, or vibrant white light. 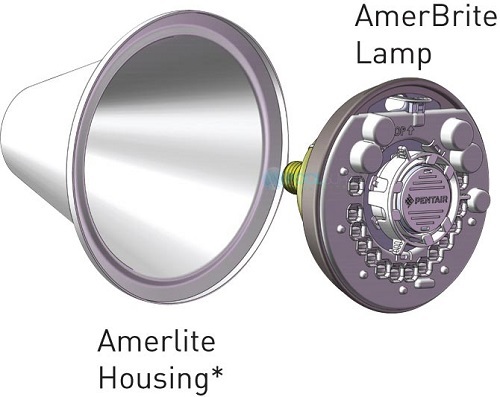 Pentair AmerBrite color lamps use 36 watts of power, while white lamps use between 34-51 watts. Color lamps feature 5 brilliant fixed colors, 7 dazzling pre-programmed light shows. The most efficient LED replacement pool lamp on the market. Superior reflector design creates more uniform light distribution. Lens can be rotated 180 degrees to provide wide or narrow beam pattern. LED technology provides longer life. Solid state technology with no internal filament. Available in 120V or 12V versions. 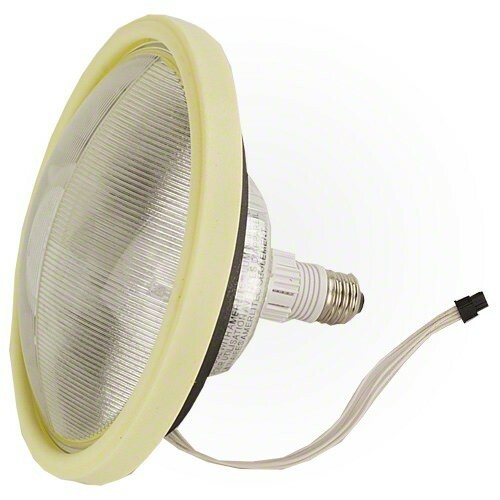 The only UL and cUL Certified LED replacement lamp for Pentair Amerlite incandescent fixtures. 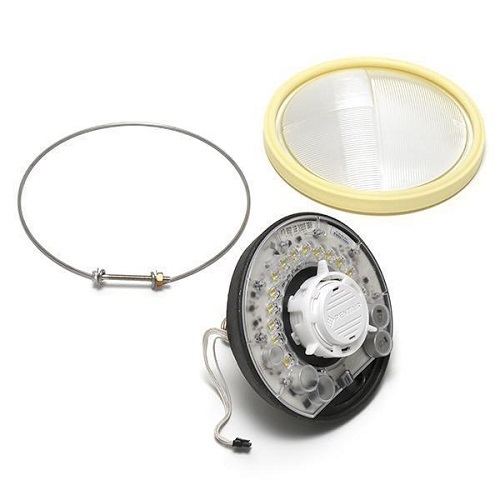 Q: Is this a complete kit to replace a standard amerilight bulb?